The Ash Dieback survey has now started, and will be running until late 2016. Further details are available on the poster and on the BRC website at http://www.brc.ac.uk/splash/. Go to 'Instructions and forms' for specific information about the methodology for vascular plants. The objective is to collect quantitative information on the patterns of ash-associated plant, bryophyte and lichen biodiversity in Britain. 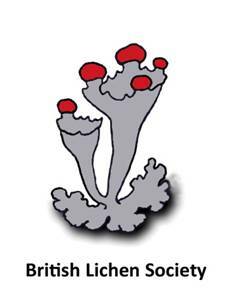 This is to be done by a structured survey, coordinated by the Centre for Ecology & Hydrology (CEH) and involving volunteer recorders from the Botanical Society of Britain and Ireland (BSBI), the British Bryological Society (BBS) and the British Lichen Society (BLS). It is hoped that this collaborative approach will encourage bryophyte, lichen and vascular plant recorders to work together in the field. The data collected will help us estimate likely changes and extinction risks from ash dieback to ground flora and epiphytes at different geographic scales. Recorders needed! Please email ash-survey@ceh.ac.uk to reserve your sampling squares. This initiative is part of a wider DEFRA funded project to investigate new approaches to biological recording, which is being led by the Centre for Ecology & Hydrology and involves a range of national societies and recording schemes.